Intocircuit makes some of the best battery packs on the market. 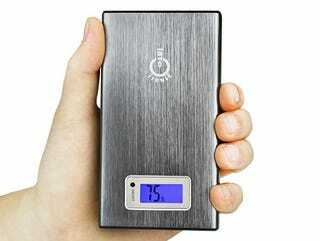 Their 15000mAh model boasts a 5-star rating on Amazon, where it’s currently ranked as the #1 best seller in its category. Right now, you can grab one for over 70% off MSRP - just $34.99 + free shipping. The Intocircuit provides 15000mAh of portable power - enough to charge an iPhone 5s nearly 7 times over on a single cycle. You can charge up to two devices simultaneously at maximum speed thanks to the built in SmartID technology. The blue LCD display and brushed aluminum casing make this equal parts sleek and durable, too. Read on for more details and head to the link below to grab yours. Shipping is included in the sale price, and should take 1-2 weeks to arrive. Unfortunately, this item can’t ship outside of the US. Interested? Grab yours at the link below.